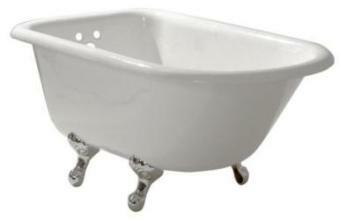 Today’s Five Star Friday product category is Classic Bathtubs. 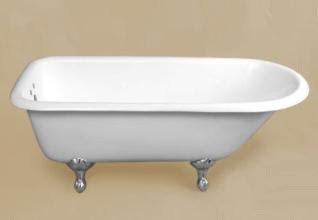 Whether you're looking for a classic clawfoot tub or a classic pedestal tub, you'll find the perfect tub for your bathroom at Vintage Tub & Bath! "Tub was delivered today in perfect condition. The quality is great. I was hesitant to order online, but the order department at Vintage Tubs was friendly and able to answer all my questions. I won't hesitate to order from them again!" "This tub is fantastic. I love it as much as my wife does. We have also had company who have stayed over and used it and we have a hard time actually getting them out of it. If we had to do it all over again we would take the same tub. Being cast iron the water stays hotter a lot longer. We all enjoy it tremendously"
"I was a little skeptical at first when ordering this tub, however, when it arrived the white glove delivery service was great and the quality of the tub was way above my expectations. 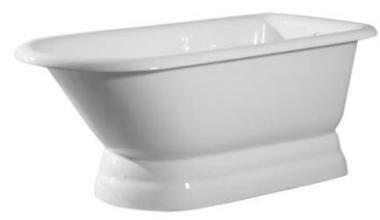 This tub is well worth the price for quality and comfort. Bill – Phoenix, AZ"
These are all great bathtubs, thanks for sharing. I would most definitely have to get a white glove delivery service to bring it to my house.